I simply cannot believe it is February 22nd already! Normally I would be pining for Spring at this time of year, but instead it has been so different. We have had the most snowy, record-breaking cold Winter ever and I’ve pretty much been homebound for most of it… and currently snowed in by the latest storm! Happily so, though, because I’ve been spending lots of time learning so much about blogging, websites, food photography and the food blogging online community and am completely enjoying it. I hope I can slowly translate all I’m absorbing into this blog. One thing I have learned is how much time it takes to create a blog that people will enjoy reading. I have a long way to go, but I’m thoroughly enjoying the process. 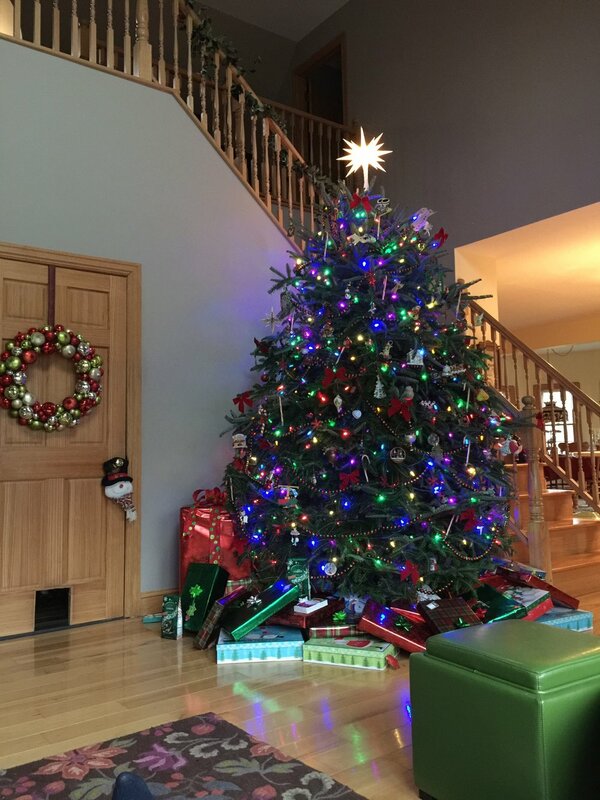 The holidays have come and gone so quickly – sadly so! It was a wonderful time of friends, family, creating – and enjoying the moments. It was the first holiday season without homework and finals in a very long time and I soaked it in for all it was worth! It’s the first holiday I was able to actually make a craft and I had a blast! Of course there was excessive over-the-top baking and eating of sweets and savories. 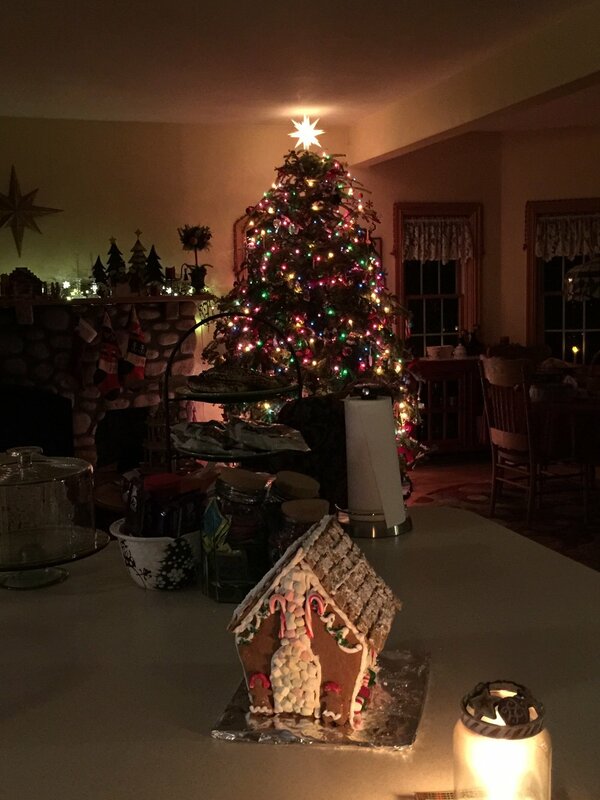 Aahhh… how many more months until next Thanksgiving and Christmas?! Gingerbread Holly Heart Ornament I made. 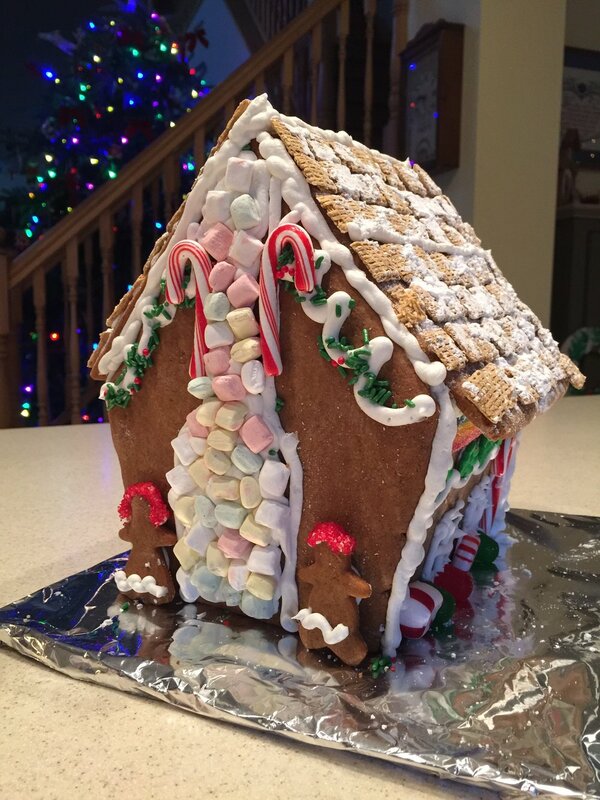 Meg and I had fun making a gingerbread house together. An old family favorite - Vanillegipfel. It's not Christmas without the traditional Sugar Cookies! 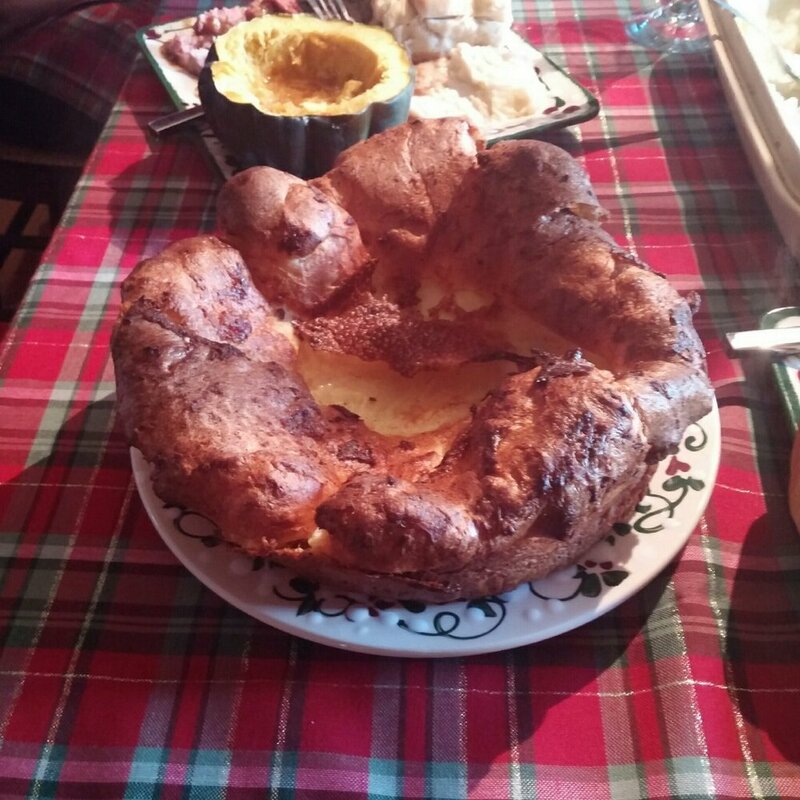 We have a simple traditional Christmas dinner that includes 'Roast Beast' and Yorkshire Pudding. It came out so wonderful this year! I was lamenting that I did not want to take down the tree and decorations the next day... it was sooo beautiful at night. 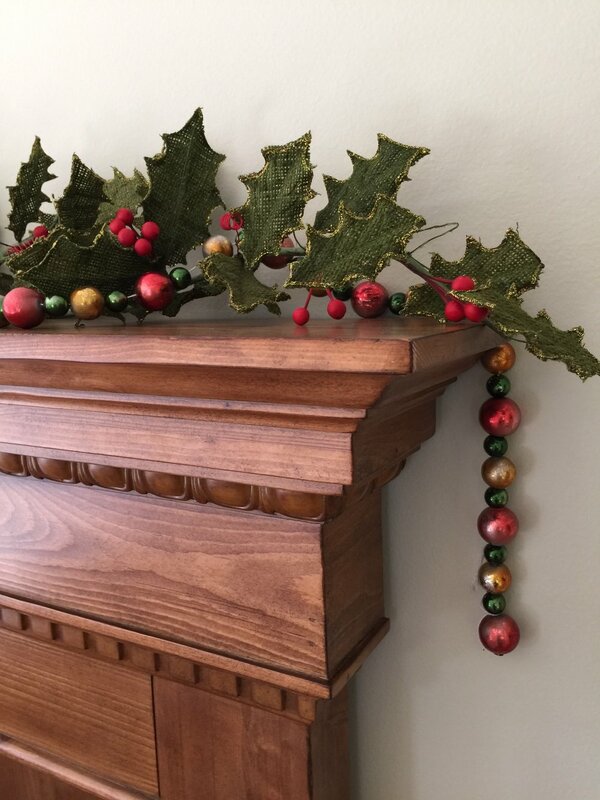 Some post-Christmas Sale bargains... can't wait to decorate next year! One special event that shaped some of our festivities was the decision to go to France in October of this year. 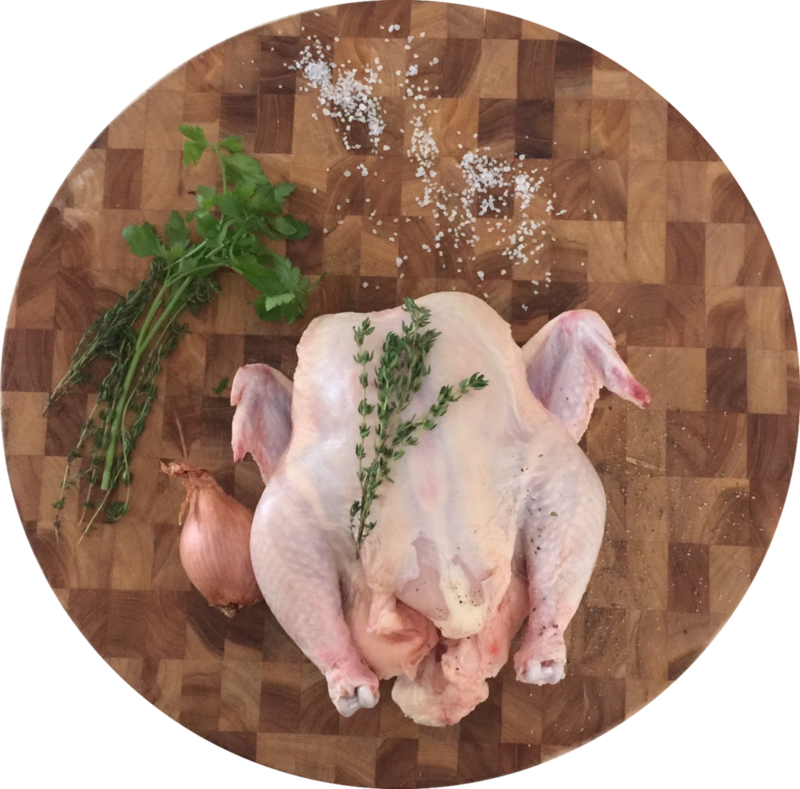 Meg and I will go together to take a four-day cooking workshop with one of our favorite bloggers, Mimi Thorisson. Meg was the one who found the workshops. She had been following Mimi’s blog, ‘Manger’ for quite a while. We looked at it together and the workshops look to be exactly the way we hope to do any kind of travelling – to the home of a native of the country. It is my experience that visiting a foreign land where the language is not familiar can be a bit daunting. The thing that turns a trip like this into a joy is being able to share the time with a family who can help guide you to the best local spots and share special moments steeping in a new culture. We absolutely cannot wait. One thing Meg and I are doing to count down to our trip has been to start a little side blog called ‘Cooking Our Way To Medòc’. We plan on cooking a few recipes out of Mimi Thorisson’s new cookbook entitled A Kitchen in France. We’ve published a couple entries, hence, my delay in posting here! Do take a look if you have a chance. Our first blog post featured this picture. Mimi Thorisson's book: 'A Kitchen in France'. 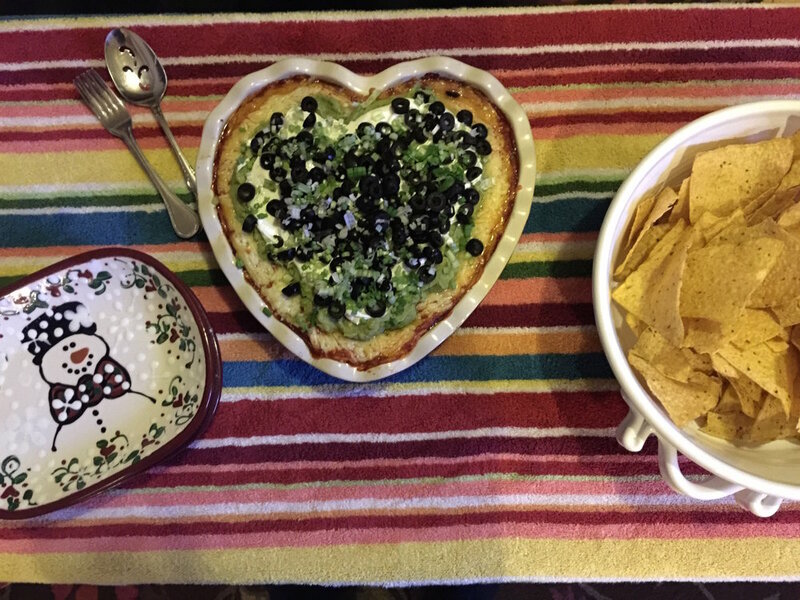 The traditional family favorite: Chalupa dip! Balsamic Flank Steak Sliders with Creamy Horseradish Sauce on homemade 'Amazing Dinner Rolls'! 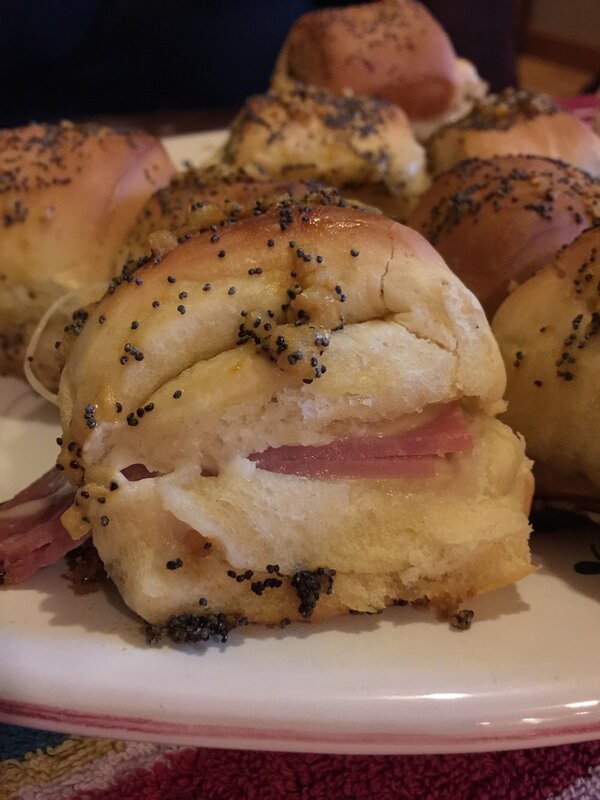 Honey Ham and Swiss with Honey Mustard Sauce on homemade 'Amazing Dinner Rolls'. Enjoy the rest of this Winter. If you are not a Winter fan or are growing weary of the cold and snow, just think how good it is for the gardens and trees and bugs… It makes this wonderful New England what it is and I surely could not live without it. It sure helps to get some spring flowers to brighten things up a bit. Daffodils and Tulips to remind us that Spring is near! OH and I almost forgot to mention – the bluebirds have returned! I am so beside myself happy about this because they stopped visiting the feeders for a while. They never left the yard, but I didn’t get to see them close-up. There are 6 of them and I hope they continue to visit. They come for breakfast like clockwork at 6:43 every morning so far. Is that cute or what?! The bluebirds have returned! Be still my heart!